Aaron Nommaz is the author of two books on sephardic Jews, besides being the Honorary Consul for Portugal in Istanbul. “The project started as a history book, but at the advice of my publisher, went on to historical fiction, based on true facts” said the author in an interview. 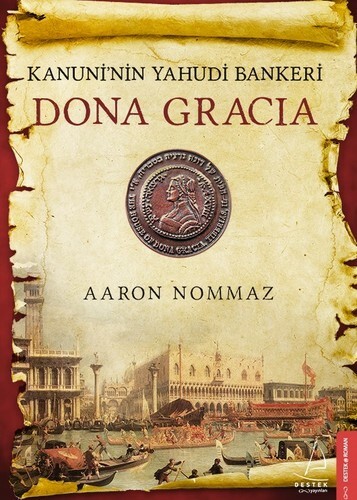 “Dona Grácia Mendes, The Legislator`s Jewish Banker” was first published in 2016, in Turkish. This lady, a widow, was a banker and one of the richest women, living in the 16th century. Born in a family of Spanish Jews, who fled to Portugal, she grew up in this country of refuge. Unfortunately, Portugal was to follow suit in terms of persecution of its Jewish population, under the influence and, later on, strong pressure of the “Catholics Kings” of Spain, Isabella and Ferdinand. The ruling Arabs had just been expelled from Granada, and Andalusia was now freed, and the whole country re-conquered and turned catholic (end of 15th century). Many Jews fled Spain at the time, escaping being converted by force to Christianism and, in the worst case, slaughtered. Hundreds of these Jews settled in Portugal for a few years. However, eventually, the Portuguese king, Manuel I, ordered forced conversion of all Jews. Many of them were to be converted by force (anussim) as well as persecuted by the newly founded Inquisition. Some were lucky to escape. Amongst these was Grácia Mendes, who managed to find a safe haven in the Ottoman Empire, where she lived for the remaining 16 years of her life. Over time she became close to the Ottoman court and Emperor Suleyman, becoming one of his bankers and, with some lenience of the last, chartered ships, that sailed to Portugal and brought back to the Ottoman Empire harassed Jews, thus rescuing many hundreds of sephardic Jews from persecution, torture and death. 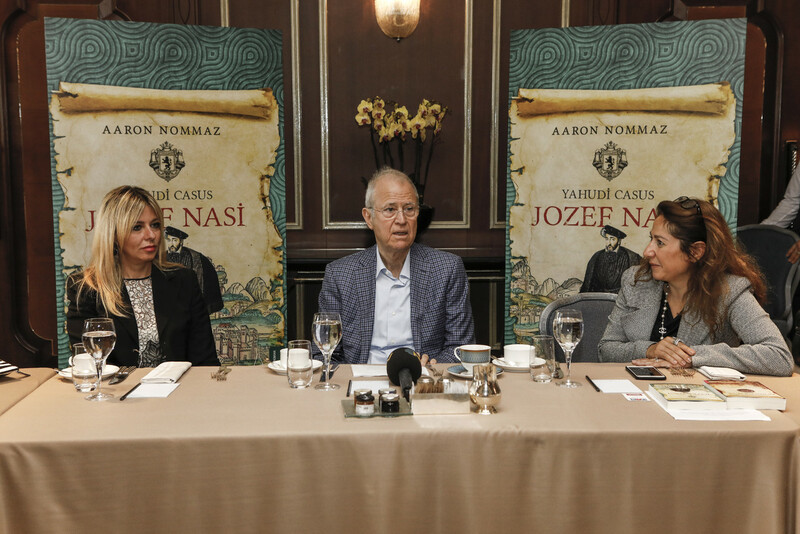 Just before summer 2017, Aaron Nommaz launched his new book “Joseph Nasi, the Secret Agent” in Istanbul. Joseph Nasi was Grácia Mendes`s nephew who had also escaped persecution in the Iberian Peninsula and played an important role in the Ottoman Court having been a close counsellor and friend of Sultan Selim II, a son of Suleyman, “the Magnificent” and his wife Hürrem. By Decree of the Sultan, Joseph Nasi became Duke of Naxos and Count of Andros. It is said that he traded wine to the Empire, a beverage much liked by Selim II, therefore him being known to history as “Selim, the Sot”. (drunkard). Ottomans had a rather erratic relationship with alcoholic beverages, even of low concentration, such as “boza”, and its consumption was allowed at times, and forbidden many times, followed by heavy fines and harsh punishment all through history to modern times. Aaron Nommaz said in an interview to Cumhuriyet, a Turkish daily newspaper, “I am a Turkish citizen, but my grandparents were Portuguese. Therefore I am a Turk with Portuguese roots, in the same way as Grácia Nasi and Joseph Nasi were”. The author also told me that ” there have been many excellent references by top Turkish historians” to both books. The English versions should come out in a few months from now. 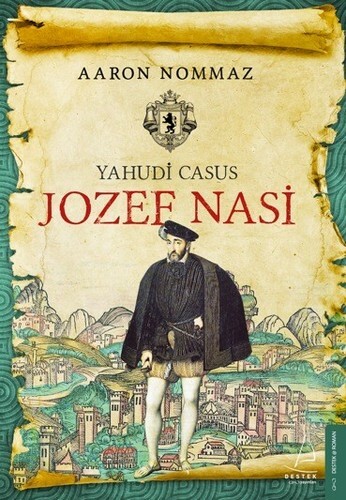 Yazıyı paylaş "Turkish Writer – Dona Gracia and Joseph Nasi – Books on influent Portuguese Jews in the Ottoman Empire"